ClearTECH™ digital image enhancement systems tap into the unrealized capability of cooled and uncooled IR, CCD, CMOS and other sensors/cameras. 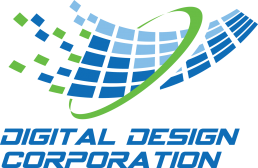 DDC has a full line up of image processing enhancement IP for support, including NUC, BPR, AGC, image stabilization, LAP, tracking, ranging, stereo, fusion, OpenGL graphics and many others. The real-time image processing solutions consist of circuit boards, embeddable IP, or systems suited for your needs. ClearTECH solutions provide superior imagery because DDC has extensive modular, yet customizable, hardware acceleration at its fingertips. This is all possible because it taps the high dynamic range of the RAW sensor data. Our engineers also have extensive experience in video and digital image enhancement, especially as they apply to embedded ruggedized applications. Most sensor solutions today throw out considerable amounts of useful data before it is presented to the user because they perform global contrast enhancements and/or use only a portion of the dynamic range, and/or perform compression, or other limiting algorithms. DDC ClearTECH advanced digital image enhancement solutions provide high quality hardware acceleration techniques to exploit a camera’s or sensor’s full capabilities, optimizing a camera or video system for maximum detail extraction or other parameters important for your image processing applications in real time. DDC offers products and services to process real-time video to achieve the customer’s desired results. View examples of our before and after images below to see some of the amazing effects that DDC can achieve with your camera/sensor. 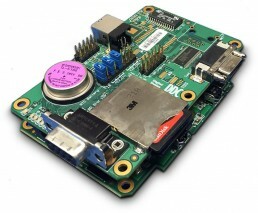 The DDC ClearTECH nVAADR is a small form factor real-time video image enhancement board that provides custom sensor/camera interfacing, sensor processing, detail extraction, and other enhancements. Many IR/CCD/CMOS sensors natively provide 12 – 16 bits of useful data. However, many systems throw out all but 8 bits through their AGC or other processes. This results in images that look over-exposed or underexposed – reducing key detail. DDC’s LAP filter, image stabilization, sharpening algorithms (and more) are differentiators and allow high quality imagery to be observed. With an optional plugover module, this platform also can record raw video to removable SD cards. Camera/sensor manufacturers and their users may find that their next generation camera solutions will benefit from a full lineup of DDC’s IP that features things such as NUC, BPR, demosaicing, distorion correction, warp, translate-rotate-zoom, filtering, LAP (Local Area Processing), fusion, image stabilization, super-res, sharpening, tracking, optical flow, stereo ranging, other analytics, and many other processing elements; of their 12+ bit grayscale or color sensor data. 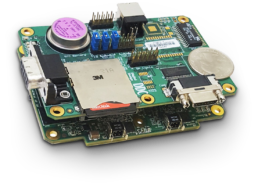 DDC can create an small SWaP )size, weight, power) board that is designed to provide a leap forward in your image processing platform.